My birthday is coming up soon and I am so excited to see what kind of party and gift Röbert comes up with this year. Last year was a bit of a disappointment, but I am sure he will step up now! I would plan my own party, but that seems kind of desperate and pathetic, no? But I did do something really smart this morning. I went up to the mountains with Robert while the kids were all visiting friends (except Hummus, who had an extra day of sessions at his tennis academy). We went there to go kayaking so Röbert would be feeling extra happy with me while he considers how much he wants to spend on my birthday. I think this photo should be worth at least one karat. This entry was posted in Couple Time, Uncategorized and tagged birthday, kayaking, mountains, Röbert on June 6, 2015 by mythreeangles. I don’t know, Lah Lee. Röbert has already proved himself to be a bit, um, basic with his gift giving. 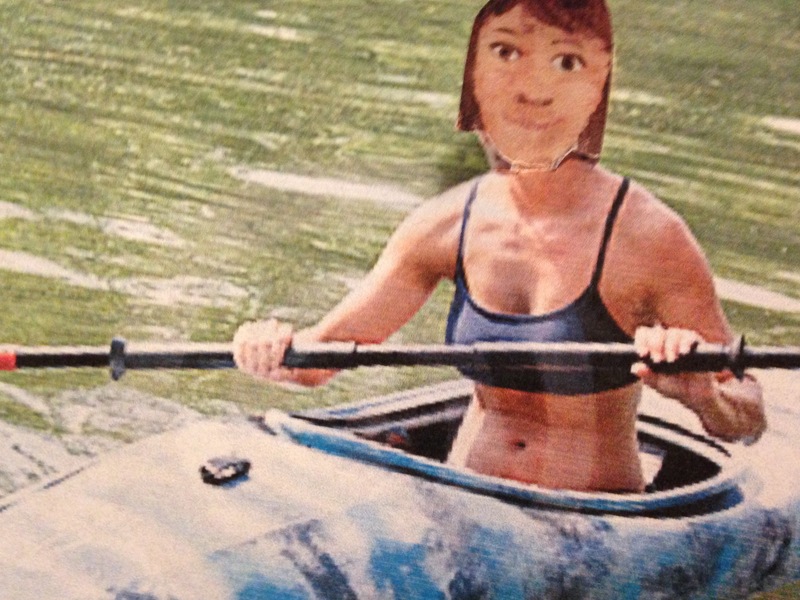 He might just think that you really, really LOVE kayaking and are hinting for more lessons! A fun idea, which always goes over so, so well in my household, is to cut out photos of gifts that you would like to receive, laminate them to cardboard, and then put the photos in cute places. Shoes, briefcase, socks, wallet, under the toilet seat etc. Then he will get subtle, teensy lil hints and you will not be disappointed – Just make sure that you put the stores’ name and address on the back! Great idea! Do you think it would be too presumptuous of me to reserve a venue for the party too? Just to save him the trouble. No way! Go ahead and book the catering and entertainment too. As long as it is billed to him and paid for using his credit card, then he is the one throwing you the party. Good thinking EPM. I will do it.